Dr. J. Frank McGill of Tifton was chosen as this year's Valor Award winner by the Southern Peanut Farmers Federation. Research and Education Society; chairman of the University of Georgia Agronomists, the U.S. Task Force on Peanut Policy and the U.S. Peanut Improvement Working Group. McGill was technical advisor to the Georgia Peanut Commission, U.S. Senate Agriculture Committee, National Peanut Council and National Peanut Growers Group. McGill has traveled to 21 foreign countries as a peanut consultant. The retired University of Georgia Extension peanut agronomist worked with UGA from 1954-1982 and was a member of the peanut team that developed a multi-discipline "package approach" for peanut production in Georgia. With McGill's help, Georgia's peanut yields increased from 955 pounds per acre in 1955 to 3,220 pounds per acre by 1974. Tommy Lindsey, owner of Omega Pharmacy, has been selected as the independent pharmacist of the year by the Georgia Pharmacy Association Academy of Independent Pharmacist. The award, presented each year for "outstanding, loyal and dedicated service to independent pharmacy," was given to Lindsey recently at the association's annual convention in Nashville, Tenn.
Tommy Lindsey with his award and, from left, daughter Lauren, wife Betty Ann and daughter Leigh Ann. Lindsey began working at Keith Drug Co. in Omega as a clerk at age 14. After graduation from Tift County High School, he attended Abraham Baldwin Agricultural College and received his associate in science degree. He then attended Mercer University College of Pharmacy in Atlanta, receiving his pharmacy degree in 1974. 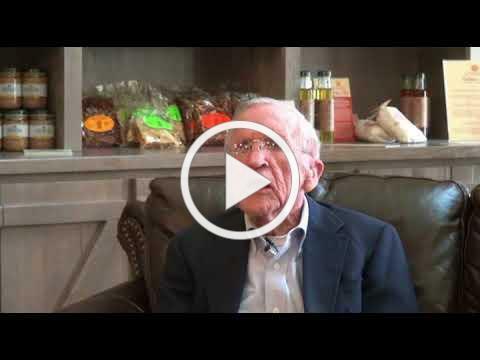 In 1975, he purchased the pharmacy where he had worked as a teenager, and Omega Pharmacy was established. Lindsey served in the Georgia Army National Guard, the U.S. Army Reserve and the Georgia Air National Guard. In 1987, he became a founding director of Tifton Bank & Trust Co., which was later purchased by BB&T. He served on the Tift County Board of Education from 1991-97 and served an interim term in 2008. Lindsey is a member of the Georgia Pharmacy Association, the American Pharmacy Association, and the National Community Pharmacist Association and of St. Anne's Episcopal Church in Tifton. He and his wife Betty Ann have been married for 43 years. They have two daughters, Leigh Ann, who, with her husband Cole and son Mason, lives in Valdosta; and Lauren, who will graduate from Mercer College of Pharmacy next year and plans to join Omega Pharmacy. The nonprofit Foundation also aids the library in providing online initiatives, including continuing education and personal development online classes. A portion of the sponsorship and ticket price is tax-deductible. the 1960s, their biggest hits are "Double Shot (Of My Baby's Love)," which reached No. 17 on the Billboard chart, "Hey, Hey, Baby," and "She Drives Me Out of My Mind." A horse in Colquitt County has tested positive for Eastern Equine Encephalitis (EEE), which is transmitted by mosquitoes, the Ga. Department of Public Health says. Authorities say the EEE virus can be passed on to humans if a mosquito first bites a horse, then infects a human with a bite. P eople infected with EEE may show few initial symptoms; some have symptoms similar to a case of mild flu and some experience brain inflammation, coma and death. EEE, typically fatal in the equine population, causes swelling of the brain and is rare among humans but kills about one-third of its victims. The U.S. Centers for Disease Control and Prevention (CDC) says there were three human cases of EEE recorded in the U.S. last year -- two in Georgia and one in Florida. Seven human cases were reported in 2016. According to the CDC, people most at risk for infection with EEE include those who work outside or spend time doing outdoor recreational activities. People are urged to rid their property of standing water to reduce the mosquito population. Georgia ranks low in overall health care, according to an analysis by WalletHub released Monday. The Peach State is ranked 43rd among all states and the District of Columbia when it comes to health-care issues. More than 40 measures were used to come up with the rankings, looking at cost, accessibility and outcomes. The states with the best health care systems were ranked in New England: Vermont is first; Massachusetts, second; and New Hampshire, third. Most Southern states ranked low; Tennessee is ranked 41st; Florida, 42nd; Georgia, 43rd; South Carolina, 44th; Alabama, 46th; and North Carolina, 47th. At the bottom of the list in the U.S. is Louisiana at 51st and Mississippi at 50th. Georgia, however, is ranked as having relatively low monthly health insurance premiums, ranked 16th among states. But d ragging Georgia down in the rankings is the percentage of insured adults, ranking 43rd in the nation. "We can pretend we're doing great, but the data suggest something else,'' says Dr. Harry Heiman, clinical associate professor in the Division of Health Management and Policy at Georgia State University's School of Public Health. Heiman told Georgia Health News that investing in areas such as the social safety net, education, housing, transportation and job training can produce better health outcomes. Tift County schools open on Monday, Aug. 13, and the school system says there new bus assignments, routes, stops and pickup times because of the grade reconfiguration. "We are excited that because of the changes, we will be able to run fewer routes and have eliminated most of the transfers. All parents who have a child riding the school bus need to contact our Transportation Department as soon as possible to find out which bus and bus stop the child should use," the school system says. Parents may call 229-387-2470 or email operations@tiftschools.com and should include the child's name, address and school they will attend. The school system asks parents to be be patient with response times because the school system says it is receiving hundreds of calls and emails each daily as opening day nears. Abraham Baldwin Agricultural College has recognized s tudents who achieved academic excellence in their course work during the summer term. ABAC cites its top academic students each semester on the President's List, the Dean's List and the Distinguished Achievement List. The President's List is the highest academic honor possible. Each student on the list attained an "A" in every subject, resulting in a perfect 4.0 grade point average. The students had to carry a minimum of 12 hours of academic work. Students who qualified for the Dean's List attained a minimum grade point average of 3.5 and carried at least 12 hours of academic work. The Distinguished Achievement List is composed of students who complete between six and 11 hours of academic work with a grade point average of 3.5 or higher on a 4.0 scale. Peter J. Nasielski, grandson of David and Susan Groff and nephew of Ryan and Denise Groff Gravitt, all of Tifton, has graduated from the University of California, Davis, with a B.A. in design and a B.S. in sustainable environmental design. He earned a 4.0 average. He was named outstanding senior and acknowledged for designing and creating the mace for the ceremony. Peter is the son of John and Donna Groff Nasielski of San Diego.